Now through September 22nd, Under Armour Outlet is offering up an additional 40% off select styles. PLUS...score FREE shipping on ANY order with the promo code FSRMN17 at checkout! 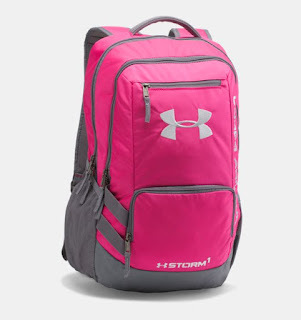 Check out this deal on this Under Armour Storm Hustle II Backpack for ONLY $25.49 Shipped (Retail $54.99) after promo code FSRMN17 at checkout!